Netflix is available on a multitude of devices, from PS Vita to tablets and PCs, but, the PS3 is the number 1 device used to stream content in the living room for the provider. 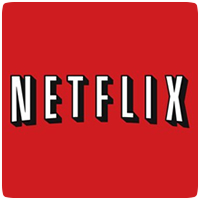 The service was first launched on the console back in November 2009 and has since become a primary development platform for the Netflix streaming experience, giving PS3 owners early access to many new features that come to other platforms later. “PS3 is our largest TV-connected platform in terms of Netflix viewing, and this year, at times, even surpassed the PC in hours of Netflix enjoyment to become our number one platform overall,” says Netflix CEO Reed Hastings. The PS3 was the first computer entertainment system to offer Netflix in full 1080p video resolution with 5.1-channel Dolby Digital Plus surround sound and to offer post play, second screen controls, on device sign-up, and alternate audio options including subtitles. PS3 is currently the only platform to experience a new voice user interface called “Max” that’s currently being tested.